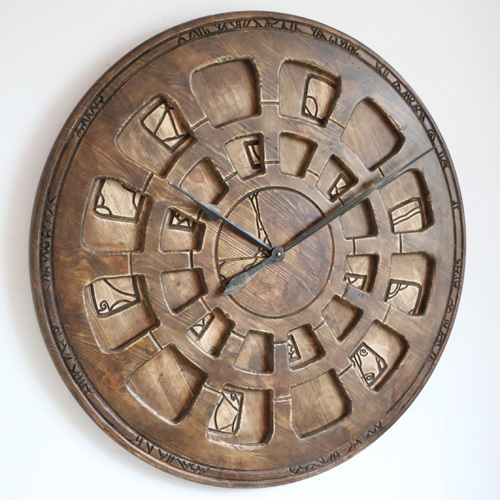 Large Designer Wall Clock. Handmade from wood and hand painted. 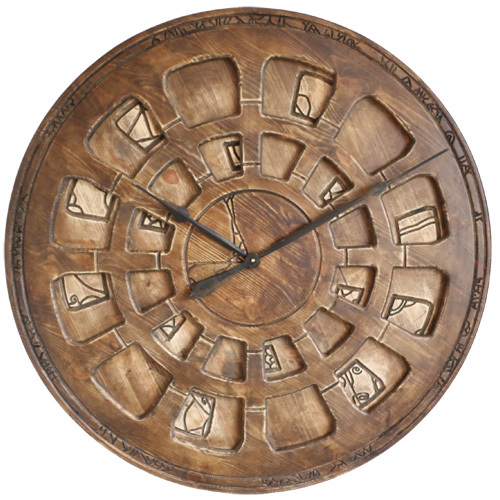 The “Old Clipper” unique large designer wall clock is handmade from two large panels of pine wood. The clock face with its distinct character and custom features looks amazing on a hand painted and carved background. With a total diameter of 100 cm the “Old Clipper” will be the centrepiece of attention in your stylish environment. 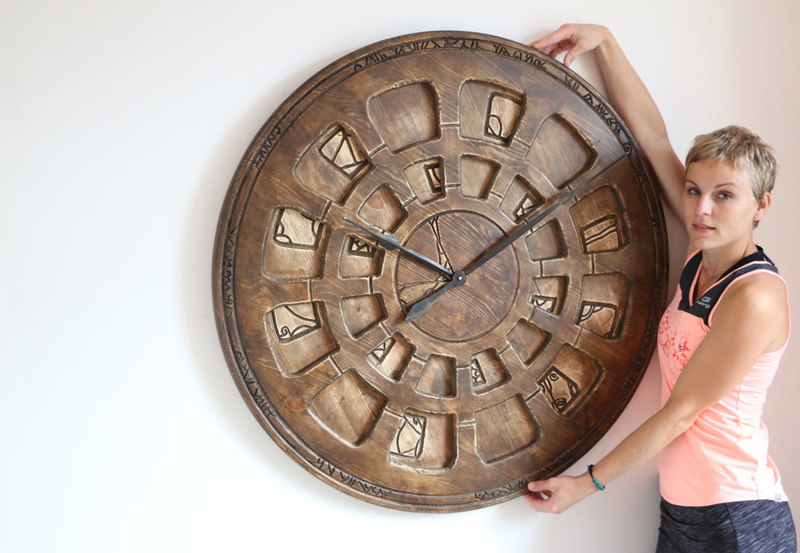 The “Old Clipper” is the most eccentric large designer wall clock that we made by hand. This one of its kind beautiful timepiece is cut out of two large panels of pine wood that gives natural beauty and adds character. 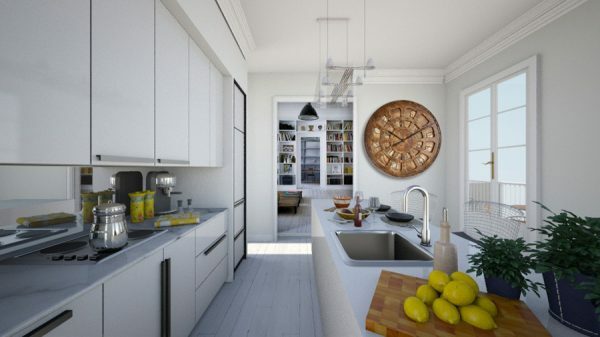 The clock doesn’t have traditional Roman Numerals but instead you can admire its carved features and custom face. Are you looking for something different than just ordinary pictures on the wall? Something that is incredibly impressive, three dimensional and one of its kind? 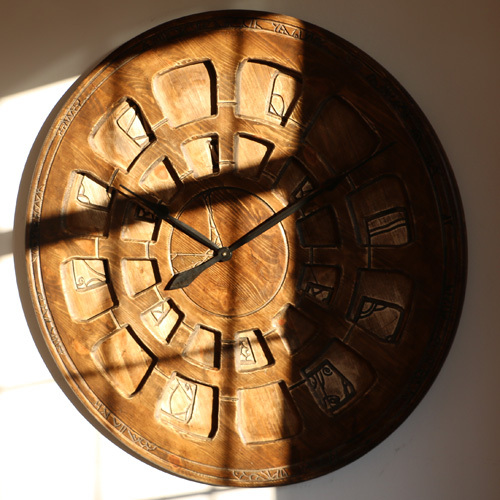 Have you considered large handmade wall clock that has bespoke design and distinctive character? The “Old Clipper” is not just a large designer wall clock. It is also extraordinary and fresh idea for home decoration. The mechanism is the most powerful Quartz sweep movement that needs a single C Cell battery. We detach both hands when delivering the clock prevent any damage in transit. We also provide detailed instructions explaining how to securely attach the clock hands and set the time. You can also watch the short video where I demonstrate it. All our beautiful wall clocks are made by hand and individually hand painted. This makes them most suitable as focus of attention in your home, office or luxurious hotel. No matter where you mount them, each of those timepieces is going to impress everyone coming across them. Don’t follow the old habits, challenge existing design trends and make decorative wall clocks from Peak Art the new fashion. Peak Art is leading this niche market and you can be sure of the best product quality and amazing customer service when you purchase from us.